Please read this Participant Indemnification, Waiver, General Release, and Assumption of Risk Agreement (this "Agreement") carefully. By signing this Agreement you are relinquishing your legal rights. I have read, understand, and agree to all terms of this Agreement. I UNDERSTAND THAT TRAMPOLINING IS AN INHERENTLY DANGEROUS ACTIVITY. I acknowledge that participation in ijump's activities, including, but not limited to, trampolining, trampoline park access, trampoline dodgeball, trampoline basketball, aerial training, fitness classes, bounce house and cafe access, offsite and camp activities, and other athletic and amusement activities (collectively "Activities”), entails both known and unknown risks that could result in SERIOUS INJURY or DEATH, due to, but without limitation, exposed springs, hooks, frames, and/or other pieces of equipment; poor lighting; lack of supervision and/or trained spotters; lack of protective padding, mats, netting, and/or other proper equipment; lack of any other proper safety measure; slipping and/or falling on and/or off equipment; collision with fixed objects and/or people; attempted jumps, runs, stunts, tumbles, somersaults, maneuvers and/or acrobatics; having multiple participants participate in the Activities at one time; the physical condition, fitness and/or abilities of me and all other participants; weight differences between me and other participants; weather and/or all other environmental conditions; actions and/or omissions committed by me, the child for which I am the legal guardian ("Minor Child”), ijump, and/or any other persons; and/or incomplete instructions. I agree that I and/or the Minor Child are voluntarily participating in the Activities and the use of the equipment, facilities, and the premises related thereto (the "Facilities”). I am assuming on behalf of myself and/or the Minor Child, all risk of personal injury, death, or disability to myself and/or the Minor Child that may result from participation in the Activities or use of the Facilities or any damage, loss, or theft of any personal property which I and/or the Minor Child may incur. I certify that I have adequate health insurance to cover any injury or damage that I and/or the Minor Child may suffer, or else I agree to personally bear the costs of such injury or damage. I further certify that I assume all risks of any medical or physical condition I may have. I understand that, although I am initialing certain sections of this Agreement, it is my intention to agree to the entire Agreement and I hereby agree to all terms of this Agreement. In consideration for allowing me and the Minor Child to participate in the Activities and use the Facilities, I expressly and voluntarily agree to forever release, acquit, indemnify, and discharge the Released Parties, and agree to hold the Released Parties on behalf of myself, my spouse, my children, my parents, my guardians, and my heirs, assigns, personal representative and estate, and any and all other persons and entities who could in any way represent me or the Minor Child (or act on our respective behalves) from any and all actions or omissions(s), cause and causes of action, suits, debts, damages, judgments, costs, including, but not limited to, attorneys' fees, and claims and demands whatsoever, in law or in equity, for any personal injury, death, property damage, or other loss that I and/or the Minor Child may suffer arising from my and/or the Minor Child's participation in the Activities and the use of the Facilities. This waiver is a complete release of any and all responsibility or duties owed by the Released Parties for personal injuries, death, property loss/damage, and/or any other loss sustained by myself or any Minor Child while participating in the Activities or at or using the Facilities, whether using ijump equipment or not, even if such injury or damage results from a Released Party's negligence, improper supervision, improper maintenance of the Facilities or negligence by other ijump guests. I agree to indemnify and hold the Released Parties harmless from and against any and all losses, liabilities, claims, obligations, costs, damages and/or expenses whatsoever paid, incurred, and/or suffered by the Released Parties, including, but not limited to, attorneys' fees, costs, damages, and/or judgments the Released Parties may incur in the event that I and/or the Minor Child cause any injury, damage, and/or harm to any other person while at ijump. 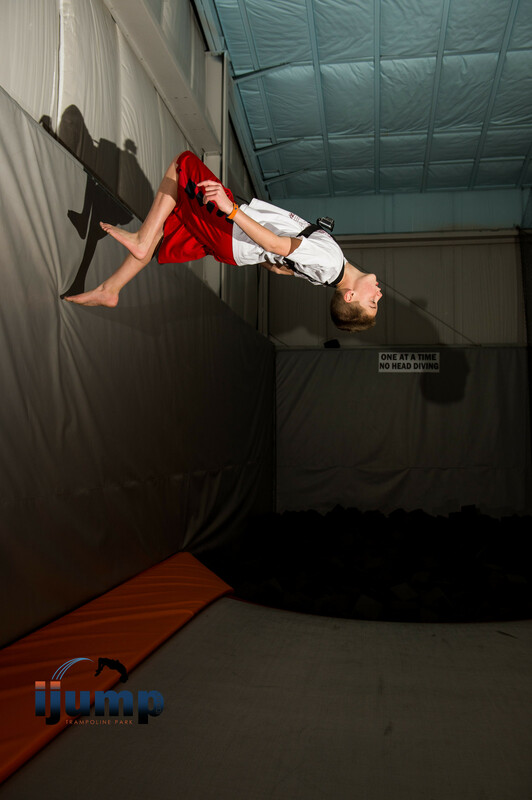 I understand that this Agreement extends forever into the future and will have full force and legal effect each and every time I and/or the Minor Child visit ijump, whether at the current location or any other location or facility. Without limiting the above waiver, release, and assumption of risk, I agree to the sole and exclusive venue of Bonneville County, Idaho for any legal action. Any controversy between the parties hereto involving any claim arising out of or relating to a breach of this Agreement shall be submitted to and be settled by final and binding arbitration in Idaho Falls, Idaho, in accordance with the then current Commercial Arbitration Rules of the American Arbitration Association. In connection with any such proceeding, the arbitrator shall have no power to make any errors of law or of legal reasoning. I further agree that the substantive laws of Idaho shall apply without regard to any conflict of law rules. I also agree that if any portion of this Agreement is found to be void or unenforceable, the remaining portions shall be construed as far as possible to enforce their meaning to the maximum extent possible and shall remain in full force and effect. I intend that no rules of construction be employed in the interpretation of this Agreement and that for all purposes I and ijump are deemed joint authors hereof. I grant ijump permission to use my, and the Minor Child's, likeness in its publications, websites, marketing, and other materials without payment, and without any prior approval of any and all publications, websites, marketing, and other materials that contain my and/or the Minor Child's likeness. I have had sufficient opportunity to read and understand this Agreement and consult with legal counsel, or have voluntarily waived my right to do so. I knowingly and voluntarily agree to be bound by all terms and conditions set forth herein. I represent that I am the parent or legal guardian of the Minor Child. In consideration of the Minor Child detailed below being allowed to participate in the Activities and use the Facilities, I voluntarily agree that all terms and conditions set forth herein shall equally apply to such minor as if the Minor Child was at least 18 years old. Please wait while waiver is being processed. 2015 © Copyright, All rights reserved.